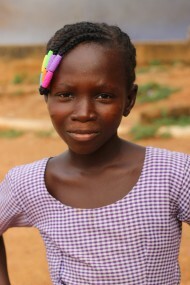 Esenam is 22 years old and a single mother to her son Nicolas, 3 years. 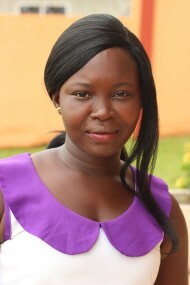 When Esenam was 18 years old she got pregnant and when the father split nowhere to be found. When she refused to do an abortion she was thrown out on the street by her family. We took her under our wings and today she is leaving in her own house and learing to be an hairdresser. Nicolas is 3 years old and Esenams son. He is now in school, in pre-nursery. He is an amazing little boy, he loves to talk and sing and anytime music comes on he start dancing. We have been there with him from the day he was born, hold him in our arms when he was just hours old and there is not better feeling than when he comes running and throwing himself in your arms. We have so much love for this little boy! Gideon is 9 years old and in grade 1. He is a shy little boy but when he comes out of his shell he is funny and curious anf has the moxt amazing smile! 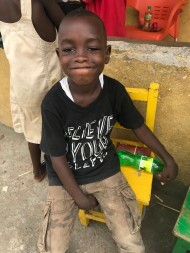 He lives with his grandmother and attends our school Royal Best Hope. Samuel is 15 years old and in grade 6. Due to healthissues his physical development was slowed down when he was younger and he does not look his age. Thanks to the right medicince he is no on the right track growing fast. He really likes school and is one of the best in his grade. 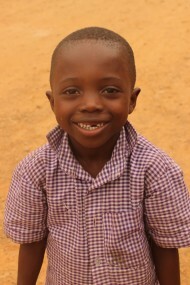 He lives with his older brother Solomon and their extended family. He attends Royal Best Hope School. 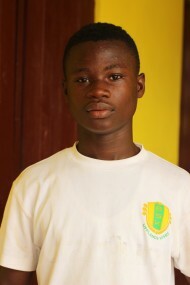 Solomon is 19 years old and is in grade 9 ( form 3). He is a sweet guy that is really taking care of his younger brother Samuel. He loves computers and technology and he wants to go to computertraning school when he graduates grade 9. Bebei is 13 years old and in grade 6. A girl with a heart of gold that dreams about one day being a nurse. She stays at a boardingschool together with her two younger brothers Moses and Noah. They stay at the boarding because the family stays far away with no good schools in the area. During vacations the go to visit their family. Moses is 11 years old and in grade 5. A tempramentful boy where playing sometimes takes presens over studying. A good brother that looks over his smaller brother Noah. 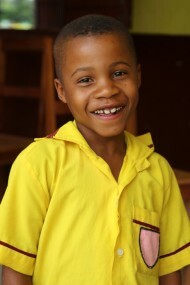 He stays at a boardingschool together with his brother Noah and sister Bebei. They stay at the boarding because the family stays far away with no good schools in the area. During vacations they go to visit their family. Noah is 8 years old and in grade 1. He is a calm and polite boy that loves to draw. He is relly good at english and practises any time he get the chance! 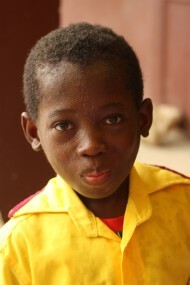 He stays at a boardingschool together with his brother Moses and sister Bebei. They stay at the boarding because the family stays far away with no good schools in the area. During vacations they go to visit their family. 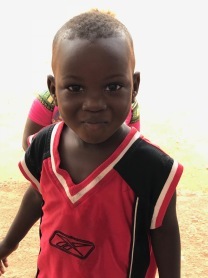 Clement is 6 years old and in KG 2 (kindergarten). A boy with a lot of energy and some troubles sitting still. He loves to explore and see new things. 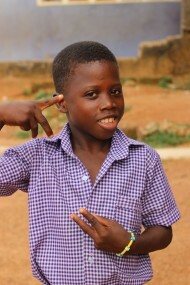 He lives with his extended family and attends a private school in Swedru.